This interview was originally broadcast in August of 2014. When an oil rig explodes, a factory building collapses, or a water supply is tainted, the finger pointing often starts and stops with the multinational corporation behind the operation. In recent years, big business has been implicated in a plethora of scandals and accidents that have cost lives and damaged the environment. We tend to think of these corporations as monolithic entities that march in lockstep and have singular goals, but as today’s guest points out, that’s hardly the case. In every major company are women and men who are pushing hard for more responsible practices – and while their work often is invisible, it is making a difference. 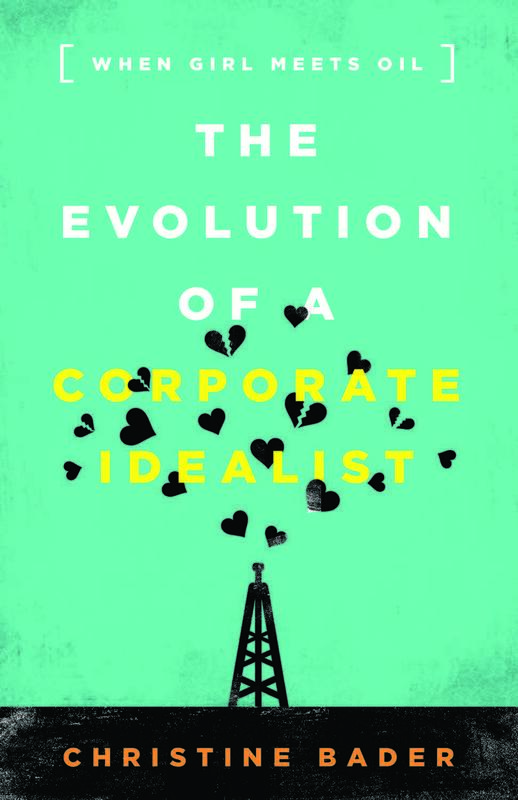 In a new book, titled "The Evolution of a Corporate Idealist: When Girl Meets Oil," Christine Bader recounts her nine years working for the energy giant BP, as well as her subsequent work at the United Nations. Bader had left BP by the time a company oil rig exploded in the Gulf of Mexico in 2010, killing 11 workers and causing the largest offshore oil spill in U.S. history. But the disaster still sent her reeling as she wondered if she had severely misjudged the company she had loved working for. In her book, Bader explores the challenges facing so-called "Corporate Idealists" such as herself, weaving in the stories of like-minded colleagues at other companies to present an insider’s view of how social responsibility is practiced in today’s corporate cultures. Christine Bader is a lecturer and visiting scholar at Columbia University and an adviser to BSR, the global business network focused on sustainability. The head of the Boise Metro Chamber of Commerce says lining up daily, non-stop flights to a major East Coast hub is now the local business community's top priority. The airport has again applied for a federal grant that, if successful, would be used to help cover costs for an airline if the route proves to be initially unprofitable. The city applied for a similar grant last year but was unsuccessful. Businesses seeking to increase productivity, athletes striving to improve their performance, and couples intent on strengthening their relationship share this in common: To get what they’re after, they’ll need more than motivation. They’ll need commitment. Heidi Reeder is an expert on how commitment enables organizations and individuals to reach their goals. Her new book, "Commit to Win," unpacks 40 years of research by psychologists and economists to bust the many myths about commitment and explain why it’s important. Exactly half of Idaho's top employers in each of its 44 counties are private businesses, while the other half are government entities. That's a change from 2012 when we reported on the same data. Then, the top employers in 28 counties were public and 16 were private sector businesses. Data that companies submitted to the Idaho Department of Labor in 2013 show the top five employers in all 44 counties, and how many people each employs.